Rev. 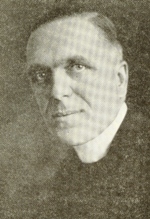 John W.R. Maguire, CSV, noted priest, labor leader and educator, died Feb 11, 1940 in Miami, FL of a heart attack. He was 56. Fr. Maguire was born Aug. 11, 1883 in the town of Boyle in County Roscommon, Ireland, and educated at Oxford University in England. After coming to this country, he converted to Catholicism and was baptized Jun. 3, 1909 at Immaculate Conception Church in Chicago. Not long after that, Fr. Maguire entered St. Viator College in Bourbonnais as a seminarian for the Rockford Diocese, but ultimately, he decided to join the Viatorian Community. He finished his philosophy and theology courses at the college, and then was sent to Catholic University of America in Washington DC for graduate studies. He professed his first vows on Jul. 4, 1910 and his final vows on Dec. 16, 1914. Fr. Maguire was ordained to the priesthood on Dec. 18, 1914 at Catholic University by its rector, Bishop Thomas J. Shahan. During his 25 years of priesthood, no one championed the cause of labor more than Fr. Maguire. He was an ardent advocate for the working man, and an early pioneer in advocating for a living wage. At labor conferences, Fr. Maguire was a familiar figure and respected arbitrator, having settled 87 of the 90 strikes he was called to arbitrate. His last strike settlement was perhaps his most famous, at the Green Mountain Dam and Power Plant which the Warner Construction Company built in Colorado for the U. S. Reclamation Bureau. During his priesthood, Fr. Maguire also found time to serve as a professor, college president, world war chaplain and missionary. As professor, he taught mostly in the fields of sociology and economics, and maintained with great success and distinction the traditional standards of public speaking and inter-collegiate debating at St. Viator College in Bourbonnais. As college president, he led St. Viator College between 1928 and 1934 and upheld the prestige of this institution despite a crushing debt. As war chaplain, he served with the overseas forces in France, and after the Armistice, he continued to serve with the Army’s occupation forces in Germany. As missionary, Fr. Maguire was in great demand, giving countless missions to parishes and retreats to both men and women religious. For years, he also spoke weekly on the radio program, “The Catholic Hour,” and in this way advanced the teachings of the church on social and economic topics to mainstream audiences. While Fr. Maguire had been ailing for years, he continued his priestly duties until his health became seriously impaired and his doctors ordered a complete rest. However, Fr. Maguire was not one to rest. On the day of his death, he said Mass and preached the Sunday sermon, and he also was scheduled to speak that evening to a labor organization. Funeral services took place Feb. 16 at St. Viator Church in Chicago. The solemn Mass drew three bishops and more than 100 monsignors, priests and brothers who were present, besides a multitude of the faithful. The Rev. Bernard J. Sheil, DD, apostolic administrator of the Archdiocese of Chicago, was the main celebrant of the Mass, while the Rev. 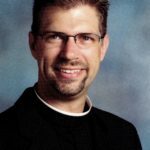 William J. Bergin, CSV, Fr. Maguire’s close friend and mentor, preached the sermon. Fr. Maguire was buried in the Viatorian Community plot at Maternity Cemetery in Bourbonnais.